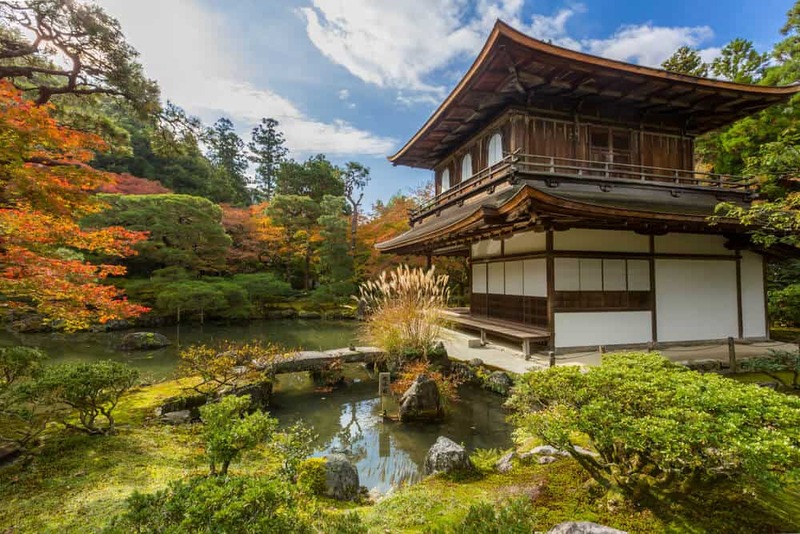 Ginkaku-ji (Silver Pavillion) is often associated with the similarly named Kinkaku-ji (Golden Pavilion). Kin means gold, and gin means silver. 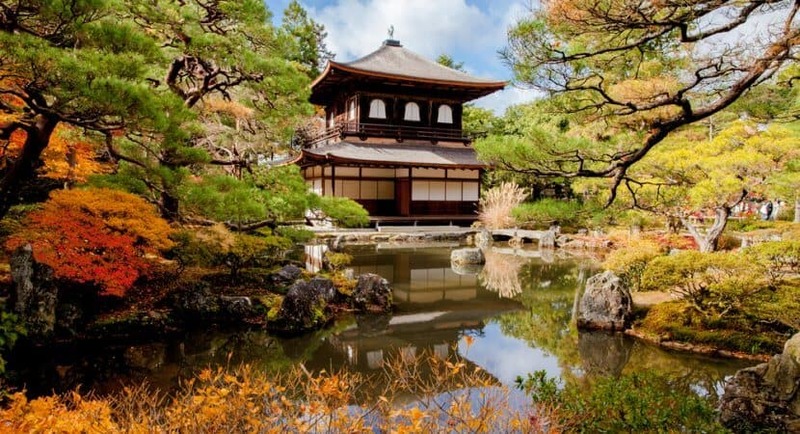 Like Kinkaku-ji, Ginkaku-ji was first the retirement villa of a shogun, later converted into a Buddhist temple. 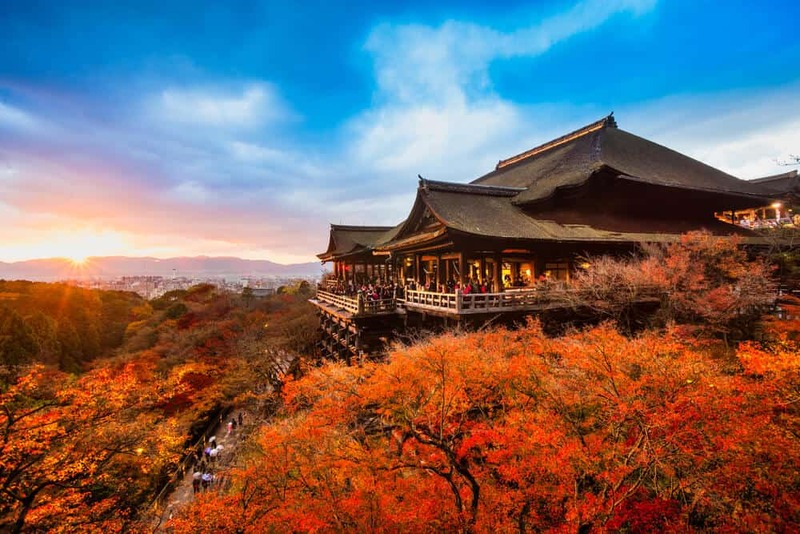 Both have the focus of a beautiful pavilion beside a pond. The similarities stop there. The so-called silver pavilion is not covered in silver. 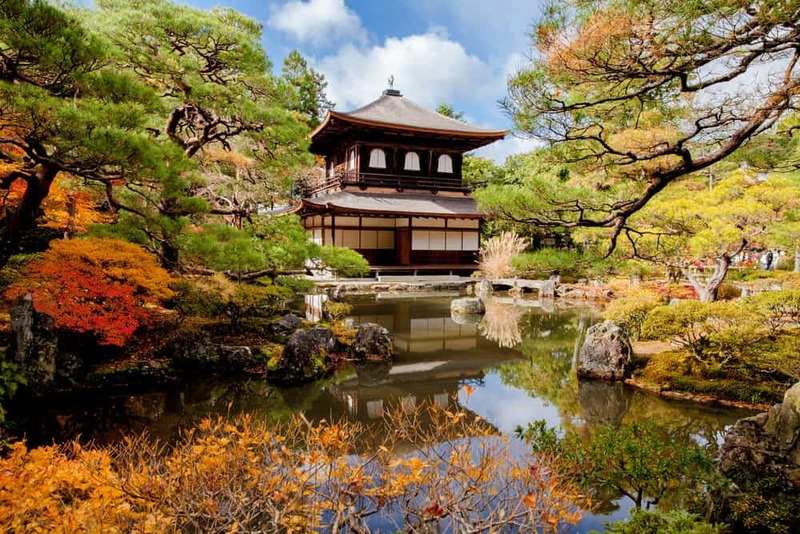 Perhaps as a result, Ginkaku-ji’s gold colored buildings and garden have a greater sense of cohesion. Ginkaku-ji lacks the crowds that swarm on Kinkaku-ji, allowing a more leisured appreciation of grounds and temple. That’s why I would rate it higher than its more famous counterpart and worth checking out. 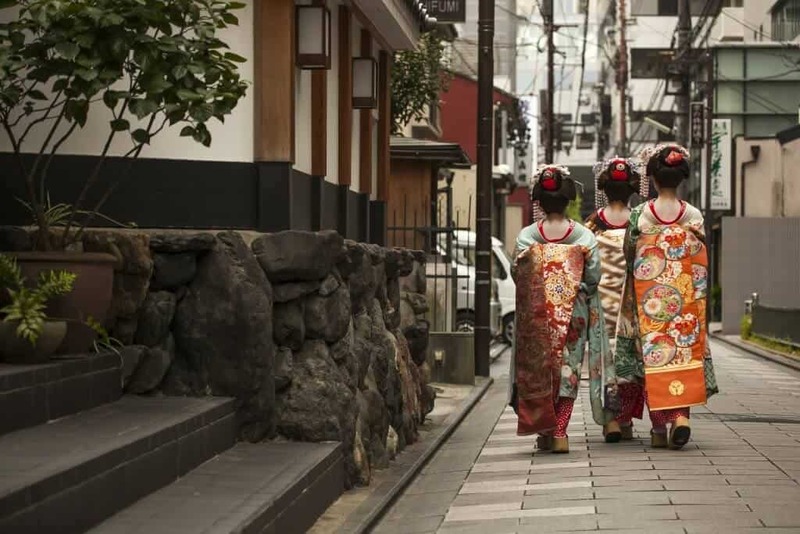 Ginkaku-ji is in a traditional neighborhood with many beautiful wooden houses and old shops. There are plenty of tourist traps, but enough patches of beauty between them that it is possible to overlook them. 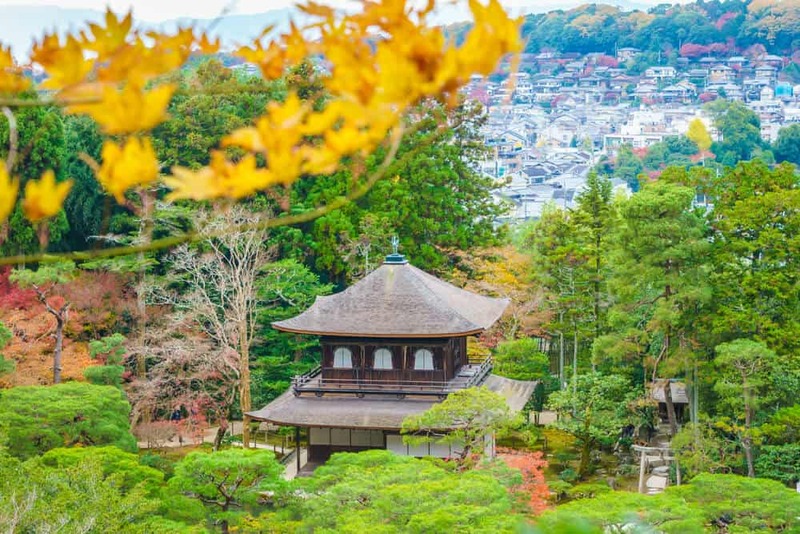 Shogun Ashikaga Yoshimasa intended Ginkaku-ji to be covered with silver after his death. 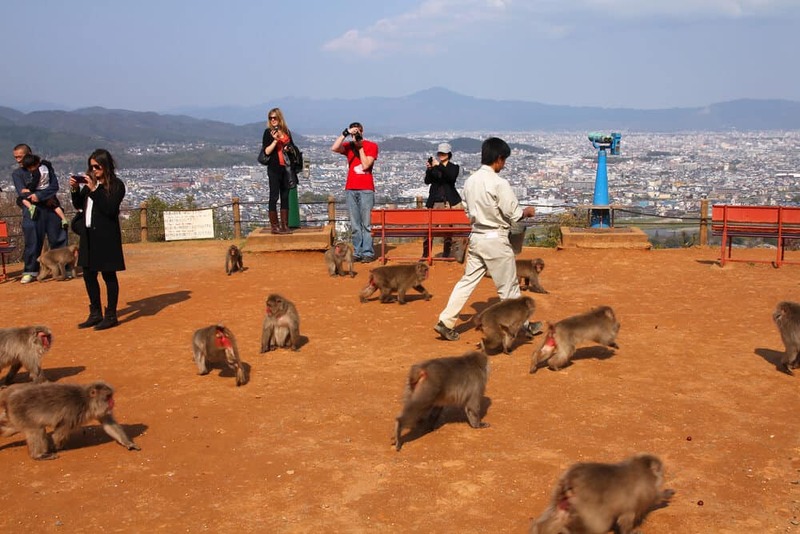 Although this ambition never came to fruition, Yoshimasa’s wish to convert it into a temple was realized after this death. This is where the temple’s official name comes from. 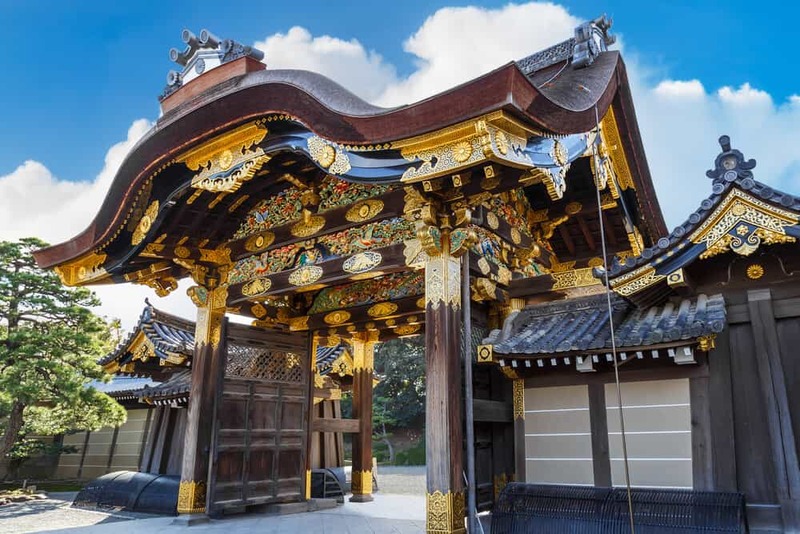 The official name is actually, Jisho-ji, which comes from after Ashikaga’s Buddhist name. Retreating from the political disturbances (Kyoto was under attack during Ashikaga’s retirement), Ashikaga immersed himself in the arts. His influence can be seen in the tea ceremony room within the Togu-do, considered to be the prototype of future tea ceremony rooms. The grounds also reflect Ashikaga’s artistic leanings. The gardens are a masterpiece of design centered on the pavilion, with walkways that play hide-and-seek with the pavilion, and displaying it from many different angles. Do not forget your camera! Without Kinkaku-ji’s crowds to get in your way there is nothing to prevent you getting an incredible photo of Ginkaku-ji from any angle. The playful moss-garden features bridges and islands. The gardens extend up the hill, giving a fantastic perspective of the pavilion, temple complex, and beyond. 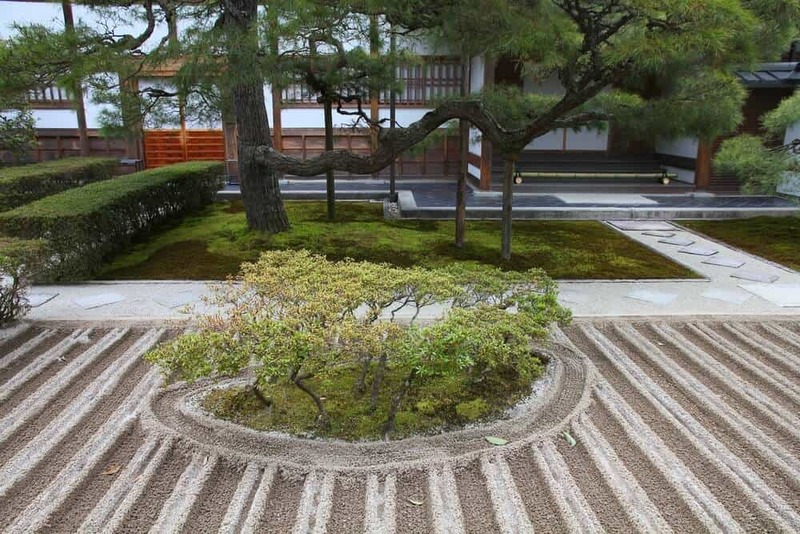 Ginkaku-ji also features a unique sand-garden, raked every morning to maintain a fastidiously neat appearance. The focal point is a two-meter high cone said to represent a mountain and lake. 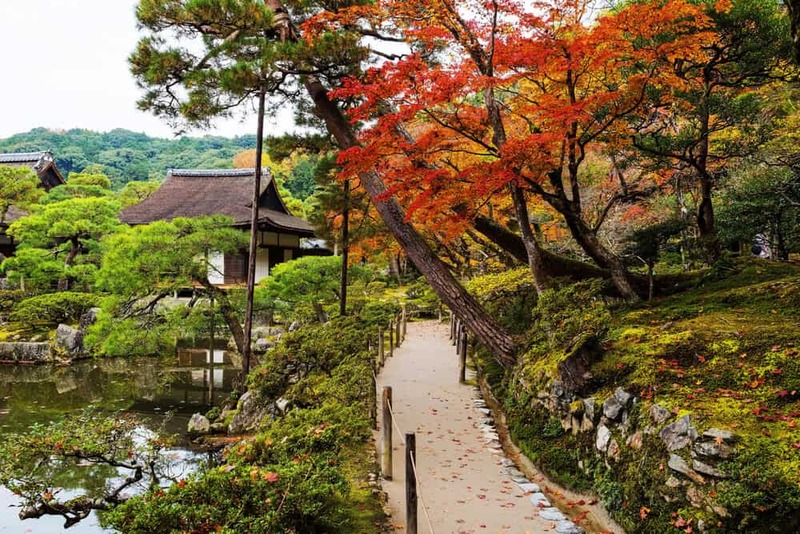 Unlike other Kyoto sites that are less appealing in winter, Ginkaku-ji is beautiful all year round. In winter, the carefully groomed pine trees add color, while a light dusting of snow contrasts pleasingly against the dark wood of the unfinished pavilion. 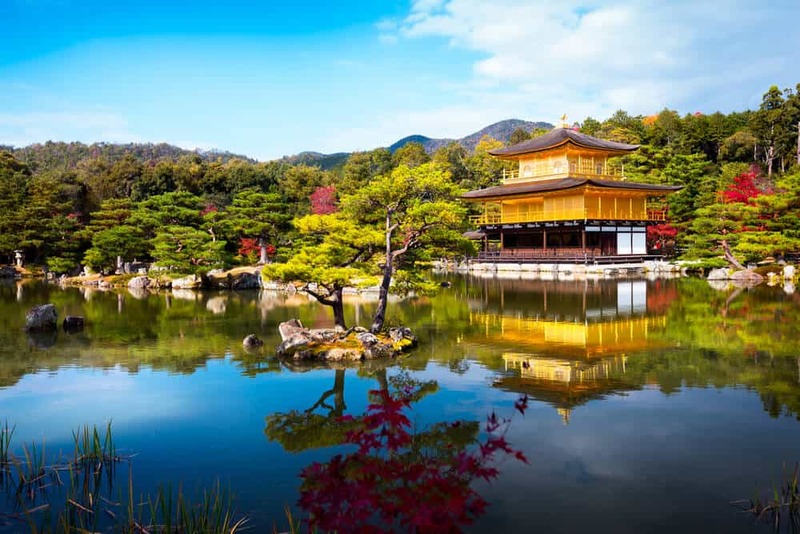 To get to Ginkaku-ji from Kyoto-Station, take City bus 5, 17 or 100, a thirty-five to forty minute ride, getting off at Ginkakuji-mae (230 yen each way). The temple is a 5-minute walk away. Ginkaku-ji is the ending point of another famous Kyoto attraction, the Philosopher’s Walk (Path), named for a professor at Kyoto University who used it for daily meditation. 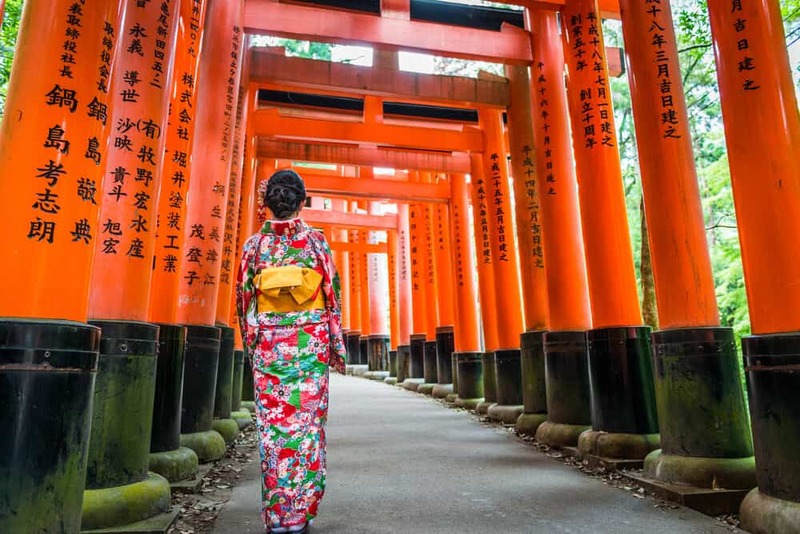 The 30-minute walk (longer if you explore the temples along the way) meanders along the banks of a canal lined with cherry trees and mossy temples and is especially popular during cherry blossom season. There are some charming cafes and stores along this route. It is worthwhile combining a visit to Ginkaku-ji with the Philsopher’s Walk, especially in spring or summer. 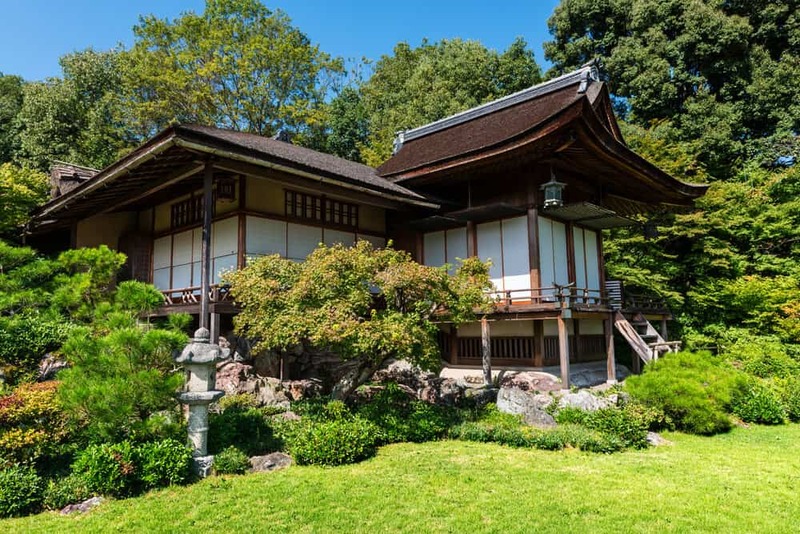 To approach Ginkakuji via the Philosopher’s Walk, head to Nanzen-ji temple (also worth a visit), a 10-15 minute walk from City Bus-stop Nanzenji-Eikando-michi, served by bus number 5.